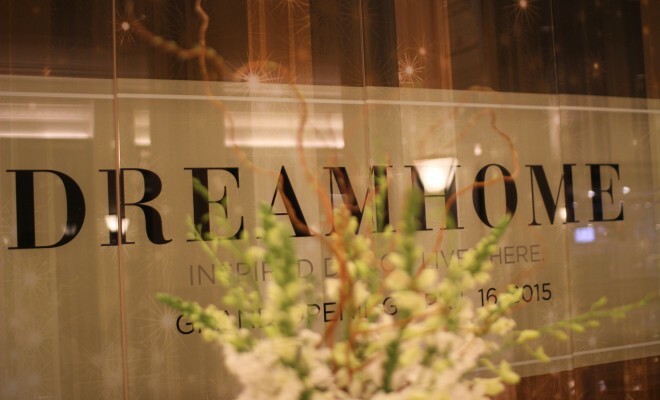 Dream Home – Opening Tonight! Last October we received the invitation from The Design Center at the Merchandise Mart to participate in the upcoming Dream Home 2015. 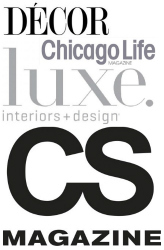 We were excited and honored to be asked to participate in this prestigious show house along with several of Chicago's finest and most respected interior design firms. Show houses are a wonderful opportunity to showcase ideas and products that inspire our work and allow for interior designers to try things that are adventurous and daring while letting their personal style to show through. The designers invited to participate by The Design Center were given the choice of rooms they wanted to design. After careful consideration, I chose the foyer. 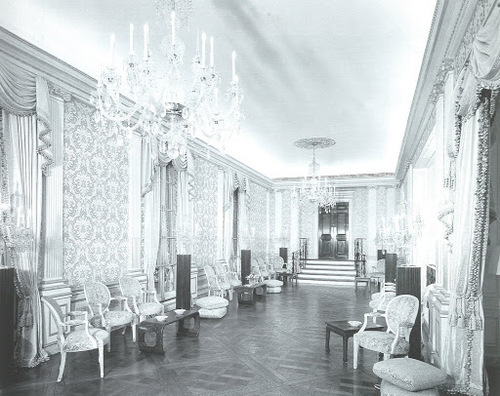 I feel the foyer is an important room in every home. A foyer sets the tone for the entire home but is a space that few spend much time in- it has to have impact to be memorable. There were several challenges to the foyer at Dream Home: the scale of the space is huge, one "wall" of the room is a glass store front and the space is used to receive all visitors to the show house. The program required a desk for the docent, wall mounted ipads for visitor check-in and a large TV that projects a video describing the spaces within. 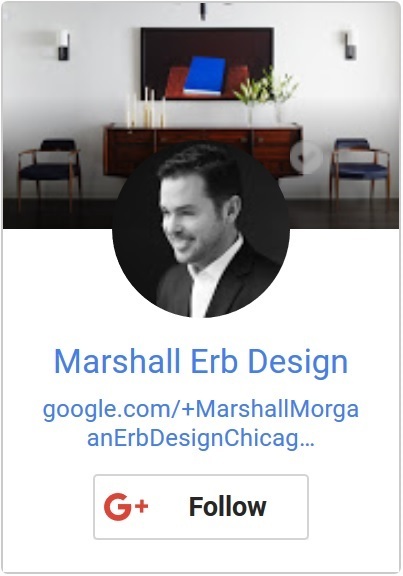 Quite a design challenge! I wanted to create impact. Thus, I decided to focus on contrast and scale. Inspired by the grand entrance foyers in Rosario Candela's New York apartment buildings along Park and 5th Avenues, I set about the search for the perfect textures, artwork and furnishings to pull this concept together. 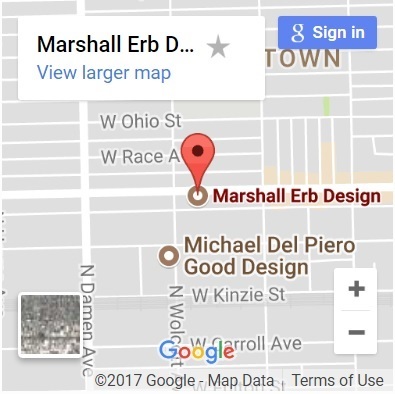 Join us tonight at the Grand Opening Party to see how I interpreted a grand foyer that is impactful, memorable and very "Marshall Erb." 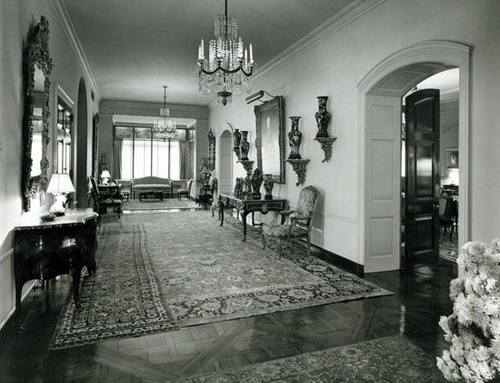 Two examples of Rosario Candela entry halls.